After previous delays with production and federal testing, the U.S. subsidiary of Chinese company BYD, the bus manufacturer set to provide Long Beach Transit (LBT) with its electric bus fleet, could be facing new problems. Not only is the company that BYD hired to make its battery’s chargers embroiled in a lawsuit for allegedly being unable to manufacture the technology in time, but the Federal Transit Administration (FTA) is considering revoking BYD’s funding for electric-bus procurement. Wireless Advanced Vehicle Electrification (WAVE), the company which is providing BYD with its inductive power transfer (IPT) battery chargers, is now being sued by energy investor Sarn Energy in a complaint filed January 8 of this year for being unable to manufacture the technology in a timely manner. According to the complaint, Sarn has a cooperation agreement that allowed them to commercialize the IPT system in Eastern Europe and had they invested $2M to build up the market there based on WAVE’s claims that it “was capable of producting and had produced” an operable 25kW IPT battery charger. IPT technology is a hands-free, wire-free transfer of energy where charging pads emit electrical energy through the air in order to charge the battery. 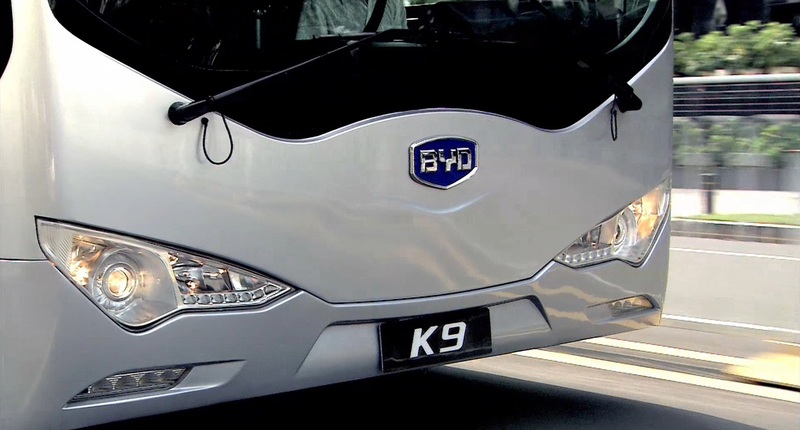 It is this technology that BYD informed LBT they would be using on their electric buses; however, Sarn is claiming WAVE’s technology, contrary to what they were previously told, has yet to step out of the prototype phase and they want their $2M market investment back. WAVE denies all of the allegations in the claim. BYD also made the bid to LBT offering WAVE as its battery charger manufacturer before WAVE had even hired a CEO to oversee product launch. Though LBT granted BYD the electric bus contract in March of 2013, WAVE’s website announced their new CEO, Michael Masquelier, who is to oversee the product launch, two months later in May of 2013. BYD was approached for comment about the lawsuit but declined, stating that the company does not comment on matters being discussed between lawyers. The lawsuit follows a letter the FTA sent to BYD on November 1 which insinuates that BYD might be ineligible for the federal funds it received for the electric bus bid. DBE regulations help small businesses owned by “socially and economically disadvantaged individuals” compete in the marketplace. In a second letter, sent December 16, following LBT’s response to the initial accusation, the FTA remained adamant that BYD was and is ineligible to receive the funds. BYD said they are working close with the FTA to mend matters. Note: this article’s original title mistated WAVE as a “Battery Company” when it actually manufactures battery chargers. Eds note: A previous version of this story incorrectly said that SARN had invested $2M in WAVE, which is incorrect. Sarn entered a cooperative agreement with WAVE in 2011 and has claimed to have invested $2M into the Eastern European market based on statements of capabilities made by WAVE.